In the early American Republic, the founding generation consciously chose to associate the nation with the ancient democracies of Greece and Rome. Using Roman architectural vocabulary, the Federal style applied to the balanced and symmetrical version of Georgian architecture that had been practiced in the American colonies new motifs of Neo-classical architecture. American federal architecture differs from preceding Georgian colonial interpretations in its use of plainer surfaces with attenuated detail, usually isolated in panels, tablets or friezes. 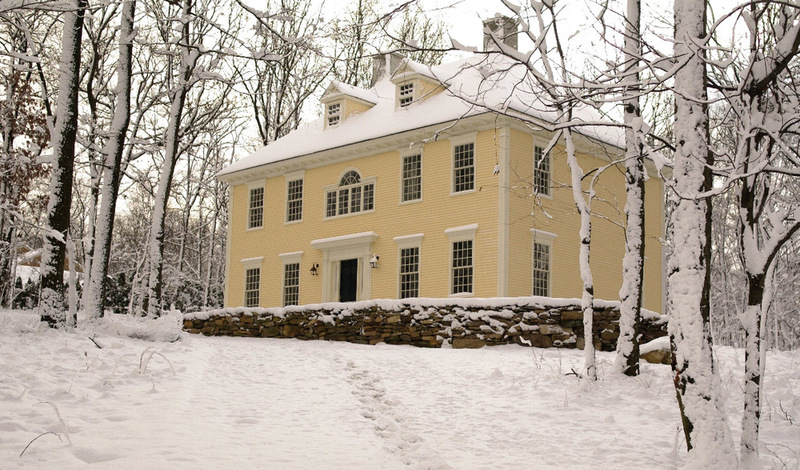 The most common embellishment to the simple box form is the addition of projecting gables; if just one gable then it was often centered on the house's entry, if two or three, they were symmetrically placed in the roof line. 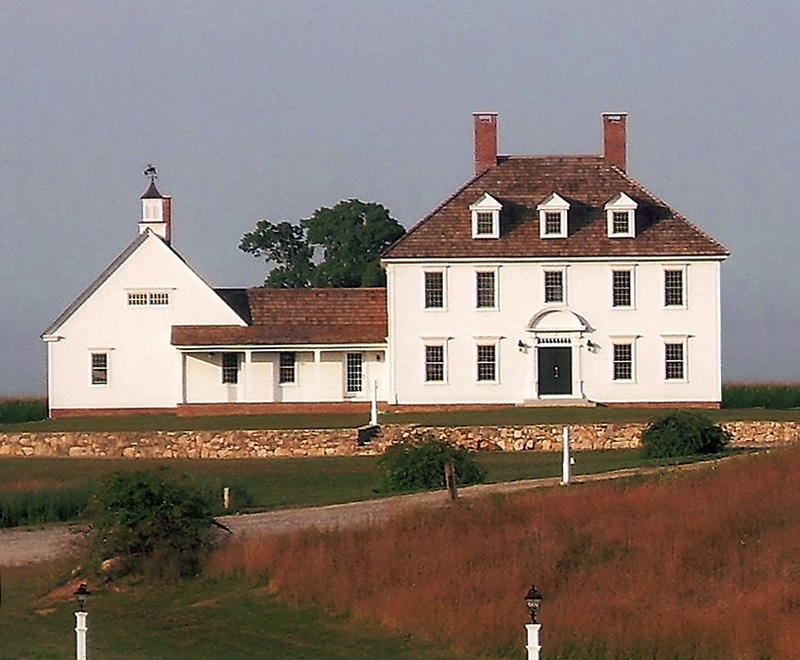 Federal houses in the northern U.S. tend to be built with clapboard siding, often painted white. Federal-style homes typically emphasize the cornice with decorative molding, most typically tooth-like dentils or block-like projections. A fanlight ornamentation above the door was also common; these semicircular or elliptical details would often feature a window to bring in additional light above paneled doors. 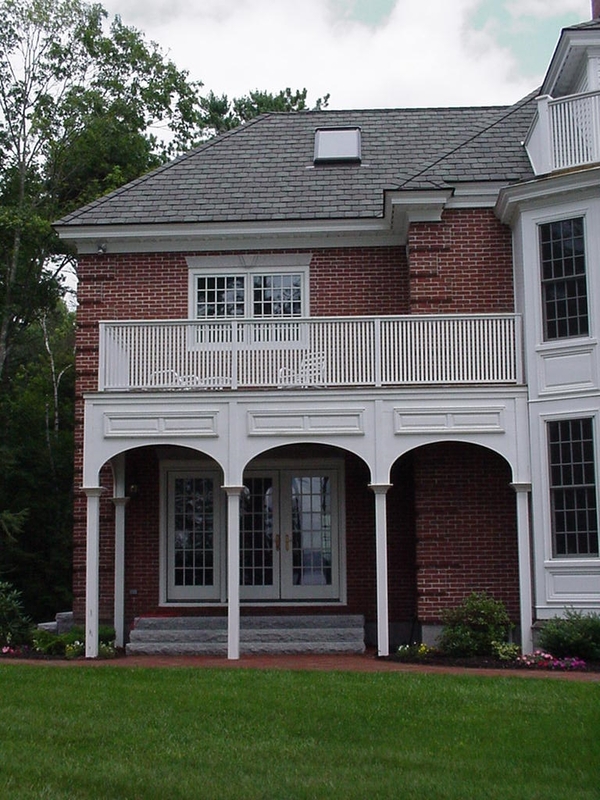 A roof line balustrade, also called a widow’s walk, is another common embellishment.